David Allen Scott, age 66, died at 3:59 PM Saturday, Feb. 9, 2019 at Lutheran Hospital,, Fort Wayne, IN. He was born Feb. 10, 1952 in Van Wert the son of Robert and Emma Lee (Martin) Scott. His mother survives in Van Wert. He is also survived by his sister Ruth Ann Scott of Van Wert and brothers Michael Scott of Van Wert, Jay B. Scott of Seattle, WA, and John Scott of Cypress, CA- nephews Jordon and Jared of Cypress and niece Kayla (John) Harvey of Edegeren, OH. 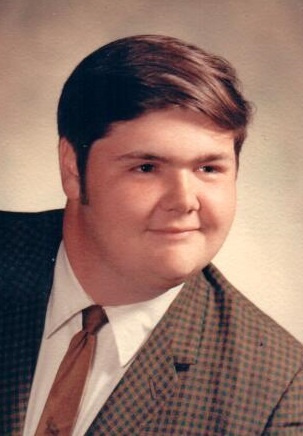 David was a 1970 graduate of Van Wert High School and proudly served his country in the US Army stationed in Germany. After his discharge from the Army he became an independent over the road semi driver followed by several years serving as an instructor teaching new semi drivers how to properly drive a truck. This was followed by a stint as the manager of a truck driving school in Detroit from which he retired in 2014. David loved sports and was an avid golfer and fisherman. Funeral Services will be at 11:00 AM Tuesday, February 26, 2019 at Brickner Funeral Home with Pastor Lance Hostetler officiating. Burial will follow in Woodland Cemetery where military rites will be rendered by the combined Honors Unit of Veterans of Foreign Wars Post 5803 and American Legion Post 178.